There have been some inspired examples of gender-switched casting recently. 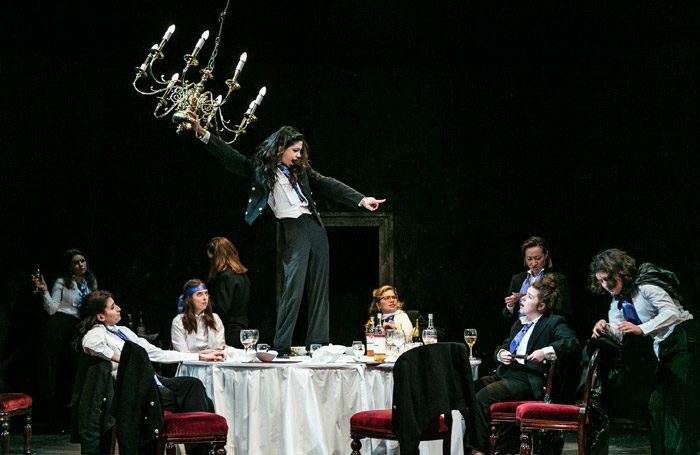 But this all-female version of Laura Wade’s 2010 play Posh, exploring the backstabbing and bullying of an Oxford private dining society, goes to show that it can still feel like a gimmick. Cressida Carre’s production lacks the sure-footed precision that made the original a hit. The staging is underwhelming (the climactic ‘trashing’ produces token damage at most) and the cast seem more comfortable with the overtly dramatic territory of the second half than the machine gun wit of the first, the pacing of which lags uncomfortably. While always competent, the performances seem to be aiming for caricature, a target they sometimes miss: the accents are more Noel Coward than Boris Johnson. Alice Brittain and Macy Nyman give the stand out performances, investing their slight roles with particular richness. It’s hard to discern a reading of the play that would make its all-female casting feel like more than a marketing decision. 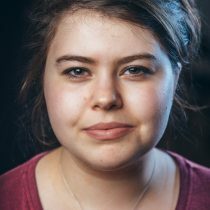 The degree to which femininity is actually acknowledged is slightly arbitrary: Serena Jenning’s Alistair, the character who shoulders the blame, purrs her way through the role while other performances bring to mind Bob from Blackadder. Retaining the ‘he’ pronouns also feels timid, the path of least resistance. Posh is a play as much about class as gender; here, performed by conventionally attractive, mostly white women, it never feels like a revival with a clear purpose. Carre’s work as a choreographer shines in the between-scenes movement, as the cast strut and contort over the central table. These scenes are beautifully lit by William Reynolds, like a Caravaggio with cravats. But the treatment of the play itself lacks a clear shape and the whole production feels like a missed opportunity.